The new fire station is located to the south of the new outdoor swimming pool, on the site of the former pool. The green roof flows wave-like upwards to the road above. 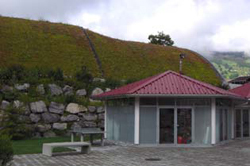 The building is incorporated aesthetically into the mountainside as a result. 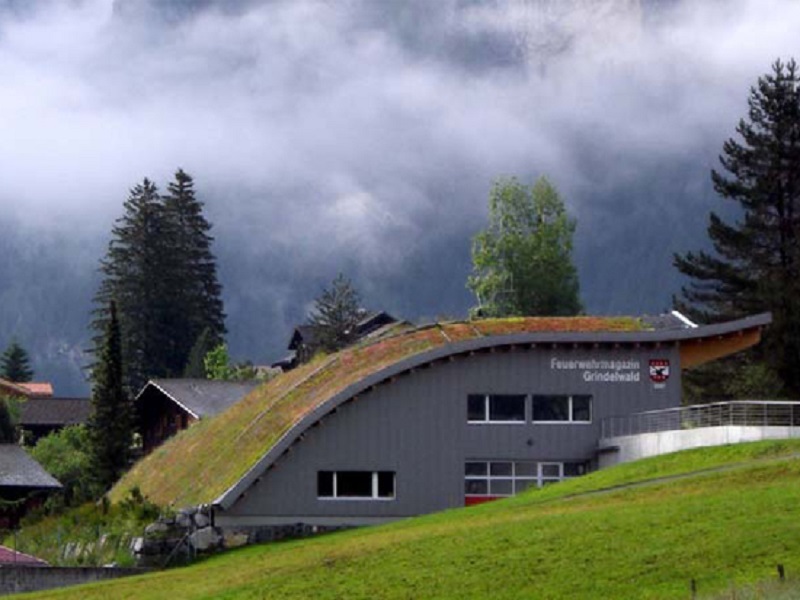 The Grindelwald fire station is at one with the surrounding mountainside. 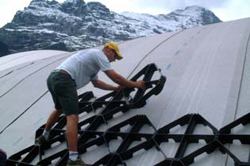 coverage and immediate protection against erosion. order to generate warm water for the outdoor swimming pool, Hellbach. from the bottom up. In thebackground, the Eiger north face. The rear of the fire station, taken from the new outdoor pool.